A Scottish actress is trying her hardest to promote a book about living in Zambia for a few months in the late 1990s, an experience she describes as a harrowing, war-torn “nightmare.” It was all going fine until Zambians began reading her account and pointed out that in addition to being a pile of racist and laughably out-of-touch white savior tropes, her story evidently makes no goddamn factual sense. As the night ticked interminably by, I tried not to think what the rebels would do to the ‘skinny white muzungu with long angel hair’ if they found me. Clenching my jaw to stop my teeth chattering, I squeezed my eyes shut and reminded myself how I’d come to be a central character in this horror story. 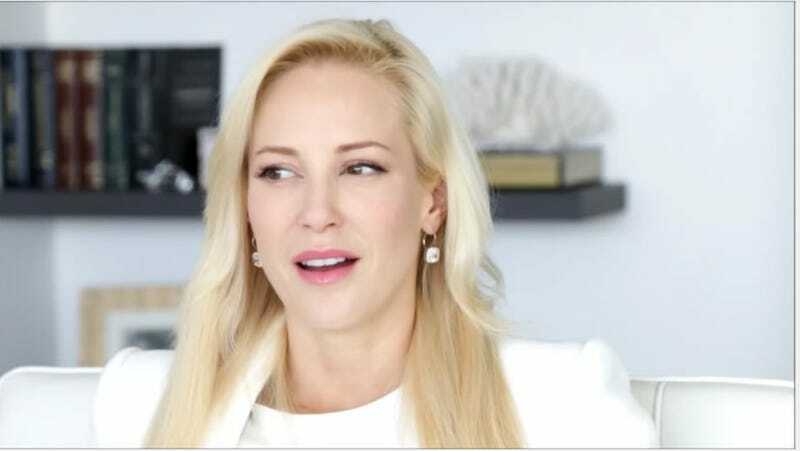 Linton and her publisher really love the description of her as an angelic white woman; on Amazon, part of the book’s summary reads, “A ‘skinny white muzungu with long angel hair’, Louise was an anomaly in darkest Africa.” Darkest. Africa. The Guardian reports that Linton’s recollections are coming in for a heaping dose of both mockery and scrutiny, mainly on Twitter under the hashtag #LintonLies. Two rather sizeable issues: What rebels? What jungle? As BuzzFeed pointed out, a man named Gerard Zytkow also disputed Linton’s story; he owns a fishing lodge near the one where she claimed to have been posted, and says he knew Linton at the time. She also disputed Zytkow’s account without mentioning him by name. The book currently has dozens of very unamused one-star reviews on Amazon. This is a fun way to get your name out there!